Aramack and Michigan have parted ways. Photo by Dwight Burdette. For years the Mackinac Center for Public Policy has argued that — done right — governments could save money and improve services through privatization. That is, through selling assets or competitively contracting out services such as food, janitorial or busing services in conventional public school districts, governments can get better services with lower costs. Unfortunately, the state signed a deal with Aramark Correctional Services for food services in state prisons that was troubled from the outset. The contract is now ending early after the two parties failed to reach an agreement on contractual amendments proposed by the company. There were problems reported from the beginning over shortages, unacceptable contact between Aramark employees and the prison population, and the smuggling of contraband goods (such as tobacco) into prisons. Failure in one instance does not mean the practice should be abandoned altogether. The state and Aramark agreed to end the contract early and the state has turned to a different contractor rather than bring the work back in-house. Failure in one instance does not mean the practice should be abandoned altogether. Nor does it mean that it should be abandoned in this specific instance. Should United Parcel Service disappointment me I need not turn to the U.S. Postal Service; I can turn to Federal Express. That is what the state has effectively done by turning to Trinity Services Group of Florida to take over the prisons’ food service. The state chose not to acquiesce to pressure from the Michigan-based American Federation of State, County and Municipal Employees Council 25 that once represented state prison food workers. The local wanted to bring the work back in-house. Michigan’s affirmation of privatization follows on the heels of a similar action in Ohio. 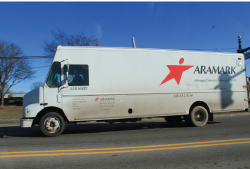 There, the state rejected a union’s call to bring work back in-house; instead, it extended a similar contract with Aramark. In every transaction, there are two parties. The contractor has a responsibility to live up to its agreement, as does the government, which must closely monitor its demands. The Aramark-Michigan situation is a good example of how privatization agreements are like marriages. Both parties share responsibility for making things work, and communication, trust and dispute resolution are critical to success. When one or both parties fall short in these areas — as appears to have been the case here — then it may make sense to either adjust the arrangement so that it fulfills the needs of both parties or end it entirely. Not every instance of privatization is going to go well. Michigan and other states have experience with failed contracts. The state’s highway road maintenance experiment in the 1990s is a case in point. That contract ended among an array of complaints, though perhaps not all of them were fair. The occasional failure of participants to execute a contract well is no reason to turn away from privatization. Prisoners are both guarded and fed well by private sector providers around the country. Perhaps the most puzzling thing about the Michigan food service contract is that Aramark does not seem to have vigorously defended itself, at least in public. It is a global corporate powerhouse with countless hours of experience providing food services in and out of prison systems. It would be helpful to know why it was difficult for Aramark to ensure that its employees not fraternize with prisoners, for example. Why did the company seek to amend its contract to address billing and food menus? Such information could be useful to improve the situation moving forward, but Aramark has been strangely — though perhaps strategically — quiet. At the end of the day it takes two to have a contracting tango. Perhaps both partners in this dance were burdened with two left feet, but it is hard to know from the public pronouncements. What is known is that done right, contracting can save money and improve services. This one contract should not serve as an excuse to forgo the benefits of privatization. Michael LaFaive is the director of the Morey Fiscal Policy Initiative at the Mackinac Center for Public Policy, a research and educational institute headquartered in Midland, Michigan. Leonard Gilroy is the director of government reform at the Reason Foundation, a Los Angeles, California-based nonprofit organization advancing free minds and free markets. Permission to reprint in whole or in part is hereby granted, provided that the author and the Mackinac Center are properly cited.